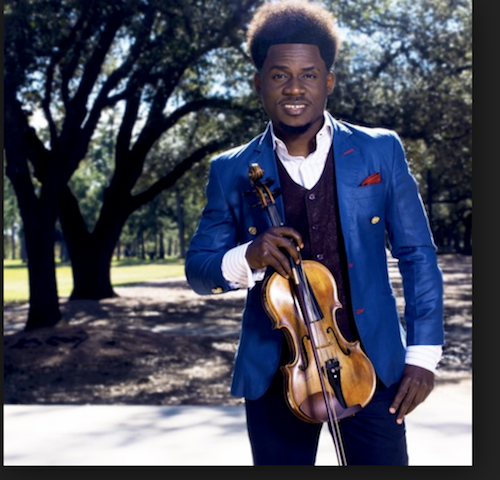 Demola (also known as “Demola the violinist) is a musician, singer-songwriter, a multi-instrumentalist, record producer and a Multi-Genre Violinist. Demola was born in Lagos, Nigeria. His love for music started at a very tender age, stemming from listening to different genres of popular and contemporary music by music-loving parents. In 2004, urged by his brother, Demola started learning the violin. As a violinist, he has performed several classical works and oratorios with various orchestras and also performed as a soloist with chamber groups. Not only does he play the violin, but Demola is also well versed with other instruments. Demola can play the piano, keyboard, guitar, viola, Djembe, and conga. Demola started his musical career with the HOPE String quartet in 2006 and continued on the principal violinist of Dulci's ensemble, the Concertmaster of Abuja philharmonic orchestra, a member of the Musical Society of Nigeria orchestra(MSO) and several groups.